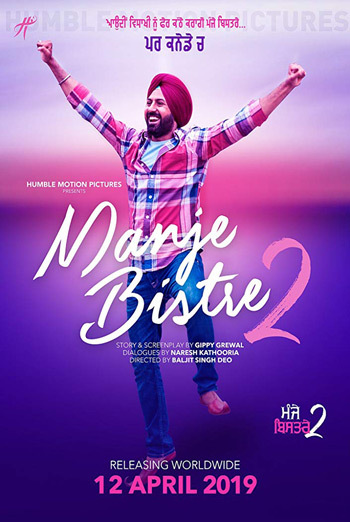 Manje Bistre 2 is packed with double the laughter and double the fun and frolic. It revolves around Sukhi (Gippy Grewal) going from India to Canada to attend his cousin Ganda’s wedding - a typical big fat traditional Punjabi wedding. There we see Sadhu Singh, Ganda’s grandfather, a typical shrewd man, engaged in multiple illegal activities, where a lot of mess is created by this menace. At the Wedding, Sukhi falls in love with Rano, an Indo Canadian. The movie is an out and out comedy that revolves around the love story of Sukhi and Rano and how their love takes shape. Consumer Advice:(BC) Violence. (SK) Violence. (MB) Violence. (ON) Substance referencing.